Home > Our School > News > General > It’s St. Justin, Martyr Fundraising Time! It’s St. Justin, Martyr Fundraising Time! 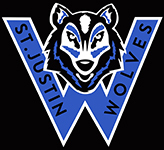 Starting Monday November 5th, until Friday November 9th, our Catholic School Council is holding the annual St. Justin, Martyr Fundraiser. Your past TREMENDOUS support has financed classroom technology, enhanced learning experiences, subsidized field trips, sponsored faith-based activities, and so much more! Ask your children about these technological investments and experiences so that you can learn the impact your donation has. Every child benefits! Watch the video below to see the impact your dollars have made. This year you are asked for a minimal donation of $100 to invest not only in traditional items and curriculum enhancements but also in an exciting vision project to REVITALIZE THE SCHOOL LIBRARY and bring it to the forefront of COLLABORATIVE LEARNING! See the vision for yourself in this video. We invite you to give generously in our one-time Annual Fundraising Event during the week of November 5-9, 2018 to help us reach our 2018-2019 goal of $37.000. Please see the attached letter for all the details! Please DONATE NOW online or by cheque and use the attached form to let us know of your donation so that your family can be entered into the daily prize draws as soon as possible!